Shawn Herz holds a Masters of Science in Gerontology from the University of Southern California, and is a licensed Marriage and Family Therapist. Since 11/2012, she has been employed with Heritage Clinic, a comprehensive mental health agency that provides specialized clinical services and support for older adults and those who care for them. 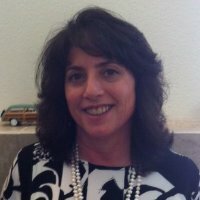 Prior to working with Heritage Clinic, Ms. Herz was employed 19 years with the Los Angeles Caregiver Resource Center, a program at the University of Southern California’s Gerontology Center. Shawn is in demand as a guest speaker throughout Los Angeles County and is a regular guest lecturer at USC’s School of Social Work. With over thirty years of experience, Shawn is recognized for her extensive knowledge, compassion, and expertise on aging and caregiver issues. Shawn will bring materials about Center For Aging Resources (CFAR) which is a ‘stealth’ NPO that provides psychological support and counselling to seniors and their families by operating two Adult Day Care Programs, group sessions (ex: Grandparents raising Grandchilden) and individual counselling funded by California’s Mental Health initiative.